When you suffer from an acute toothache, our specialist will help you immediately, especially to stop caries from growing. Come with an early stage of caries, here we appreciate an early detection and prophylaxis. During a treatment process we use modern dental tools from Japanese concern NSK including latest turbine with fiber. Our medical facilities are equipped with very helpful light – this makes doctors’ work easier and faster. Because of modern shape and construction it is also quiet. Ceramic bearings guarantee less vibration. Moreover, during drilling bad smell of burnt teeth does not appear due to the cooling system. Cooling system also abates pain and after-treatment hypersensitive. 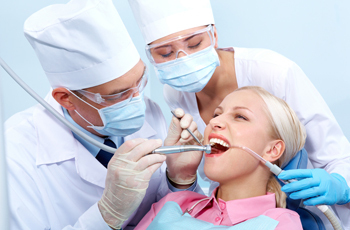 Forget about noisy and smelly treatment – Miserante Dental makes whole curing process more comfortable, safe and sure!